Improved Algorithms for Topic Distillation in Hyperlinked Environments. Krishna Bharat and Monika R. Henzinger. Proc. 21st International ACM SIGIR Conference on Research and Development in Information Retrieval (SIGIR), 1998, pages 104-111. Analysis of a Very Large AltaVista Query Log. Craig Silverstein, Monika Henzinger, Hannes Marais, and Michael Moricz. ACM SIGIR Forum, 33(1):6-12, 1999. Finding Related Web Pages in the World Wide Web. Jeffrey Dean and Monika R. Henzinger. Computer Networks, 31:1467-1479, 1999. A preliminary version appeared in Proc. 8th IW3C2 International World Wide Web Conference (WWW8), 1999, pages 389-401. Best Paper Finalist. Continuous Profiling: Where Have All the Cycles Gone? Jennifer Anderson, Lance Berc, Je Dean, Sanjay Ghemawat, Monika R. Henzinger, Shun-Tak Leung, Richard L. Sites, Mark T. Vandevoorde, Carl A. Waldspurger, and William Weihl. ACM Transactions on Computer Systems, 15(4):357-390, 1997. A preliminary version appeared in Proc. 16th ACM Symposium on Operating Systems Principles (SOSP), 1997, pages 1-14. Best Paper Award. Computing on Data Streams. Monika R. Henzinger, Prabhakar Ragahavan,Sridhar Rajagopalan. DIMACS Series in Discrete Mathematics and Theoretical Computer Science: \External Memory Algorithms", 50:107-118, 2000. Search Technologies for the Internet. 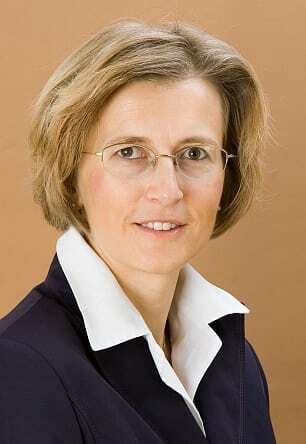 Monika Henzinger, Science, 317(5837):468-471, 2007. This invited survey describes the state-of-the-art in information retrieval technologies for webs search engines. Exploring Unknown Environments. Susanne Albers and Monika R. Henzinger. SIAM Journal on Computing, 29(4):1164-1188, 2000. A preliminary version appeared in Proc. 26th ACM Symposium on Theory of Computing (STOC), 1997, pages 416-425. This paper gives the first subexponential time algorithm for an exploration problem in a graph. With 145 citations it is very widely cited for a theoretical paper. Randomized Dynamic Graph Algorithms with Polylogarithmic Time per Operation. Monika R. Henzinger and Valerie King. Journal of the ACM, 46(4):502-516, 1999. A preliminary version appeared in Proc. 27th ACM Symposium on Theory of Computing (STOC), 1995, pages 519-527. This paper presents the rst dynamic graph algorithm that maintains the connected omponents of a graph with an update time that is polylogarithmic in the size of the graph. It is an example of my past work in graph algorithms. Faster Shortest-Path Algorithms for Planar Graphs. Monika R. Henzinger, Philip Klein, Satish Rao, Sairam Subramanian. Special Issue of Journal of Computer and System Sciences on Selected Papers of STOC 1994, 55(1):3-23, 1997. A preliminary version appeared in Proc. 26th ACM Symposium on Theory of Computing (STOC), 1994, pages 27-37. This paper presents the first linear-time algorithm for finding shortest paths in a planar graph. It also contains novel dynamic algorithms for shortest paths in planar graphs. It has 156 citations. The awards are worth 1,5 million and 2,4 million Euros respectively. The neurobiologist Teßmar-Raible studies the lunar rhythms of marine bristle worms, and the computer scientist Henzinger works with algorithms and their applications.